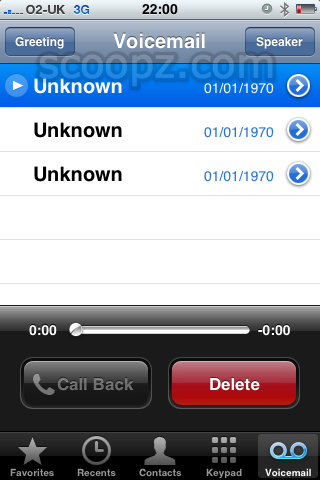 My iPhone 3G has started showing random “phantom” voicemails from “Unknown” dated 1st January 1970. 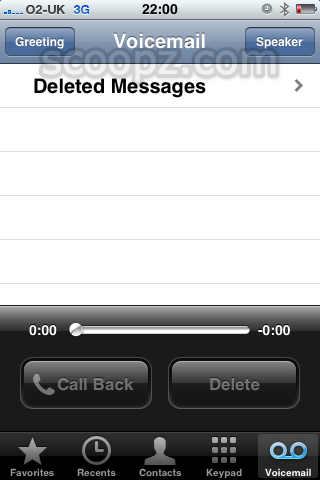 There are three empty voicemails, 0 seconds long and they cannot be deleted. 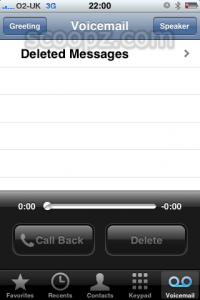 Actually that’s a lie, they can be deleted and they go into the deleted messages folder, you can also clear the deleted messages, but as soon as you go back to the main voicemail screen they re-appear instantly. Powering off and on doesn’t resolve the issue, I’ve not tried a force reset yet or last resort full restore. A quick search of the web reveals many others have been having this problem over the last year, but as of yet I’ve not seen any explanations or resolutions. It happened to my mum, we can’t figure it out. Just imagine if it was aliens, light years travel back in time the further away you go, so it could be someone 45 light years away!! I have an iPad and received a number of emails this morning dated 01.01.1970. There was no subject or narrative in email and no option to delete. I checked the desk top immediately and they were not there and when I went back into the email via the iPad they had disappeared. This is the fourth time this has happened to me! First 3 times i was commenting on statuses and above my comment blank profile pict n 1st jan 1970 n comments before that repeated again! Tonite same thing but I never commented! Wtf? Its freaking me out just à tad!!! Its not necessarily a Samsung that have these sort of “problem” I currently have an email service with webmail, just 48 hrs ago I found in my inbox (deskot computer, Lenovo) an email with no sender, no subject and dated 01 01 1970. I was happy there was a chance to go back in time, because if someone sent me an email then it means I can time travel…LOL, just some crazy thought. 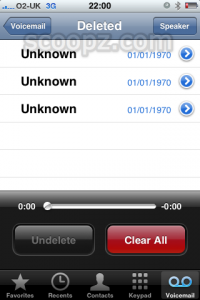 I have an iPad 2 and have received and email with no sender id, no subject and no content but with a date of 01.01.1970. I know that this date is an epoch value. Epoch date is the start date used to calculate the current date and time in computers. 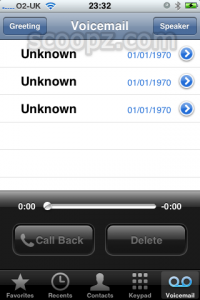 Perhaps there is a glitch or bug in the operating system since the turn of then new year? What ever it is it’s a nuisance. I have a new samsung galaxy and also keep getting emails dated 01/01/1970. It has no info or content and can be deleted. Does anyone know of a solution to this problem? @Marg – sorry I can’t offer a solution to your problem with the Samsung galaxy emails showing up as 01/01/1970 but I can tell you, from looking at my site statistics, that you are definitely not alone. I’ve had lots of people searching for “samsung 01/01/1970”, “01/01/1970 emails samsung” etc so it’s not just you that is having these problems. 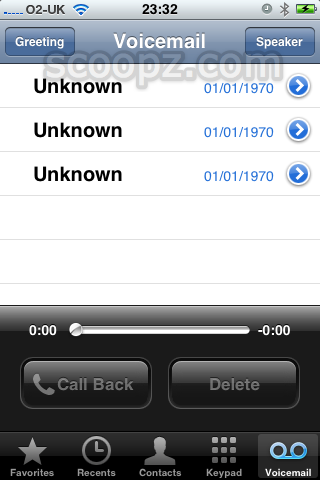 My dad has suddenly started getting e-mails on his 1Phone from 01.01.1970, with No Sender, No Subject and No Content. They do not appear on the computer and he cannot delete them! And they’ve multiplied from 2 to 73! !